As well as physically preserving and restoring Railmotor No. 93 and Trailer No. 92, we are interested in preserving and recording facts and memories about the vehicles and their like. Here are some items of interest, and some links and references to other sources, which we hope form merely the start of another interesting aspect of this project. We are interested in hearing stories from those who worked or travelled on the Steam Railmotors, so if you have any interesting tales, why not get in touch? Walter Cottam, a fireman at Wolverhampton remembers some of the challenges involved in firing a railmotor. Jack Lloyd tells of his time as an apprentice at Stafford Road factory (Wolverhampton) and recalls the dire consequences of putting a railmotor together ‘the wrong way round’! As the last of the Great Western Steam Railmotors were withdrawn in 1935, there are few who now recall travelling on them, but William Harbour, a young passenger, remembers. The account of Harold Gubbins, Fireman on the Chalford motor service which appeared as part of an article 'A Chalford Miscellany' by Mike Fenton in the Christmas 1992 issue of the 'British Railway Journal' (No. 44) and is reproduced here by kind permission of the Author and the Publisher, Wild Swan Publications Ltd.
Inevitably there are also some more recent memories of finding withdrawn Railmotors and Trailers, and of their acquisition by the Great Western Society. The Swindon Engineering Society held a meeting on Tuesday March 12th 1906, where A H Nash presented a paper entitled 'The Construction of Steam Railmotors', which was followed by a discussion. (PDF File - 676kB). An advert for Hale and Kilburn including walkover seats of the type fitted to both 92 and 93. An Order for Railmotor Boilers signed by Churchward. Between Southall and Brentford . Between Totnes and Ashburton, Wrexham and Rhos, and Wrexham and Coed Poeth . Great Western Steam Railmotors: and their services. Lewis, John. 2004. 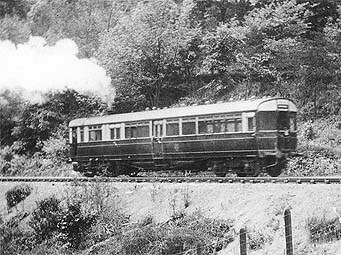 Railmotor: The Steam Engine that Rewrote Railway History. Jones, Robin. 2011. These books are available from the shop at Didcot Railway Centre.